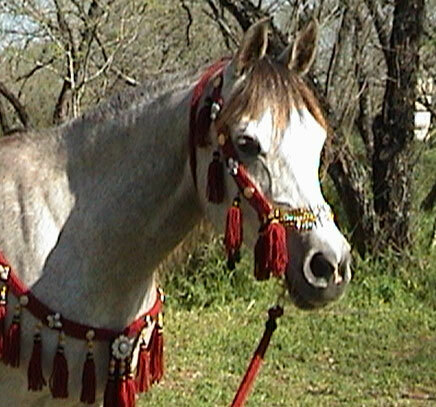 Kattarrah is a very exotic mare, and my personal riding horse. Her dam , the beautiful Khafrana, is not only an Ibn Morafic daughter, but is a Bint Bint Mona granddaughter. 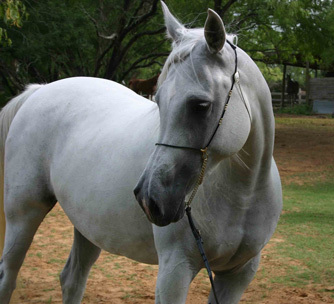 This mare is heavily Moniet bred, top and bottom, and she does show it. She has a strong bonding personality and is just as sweet as she is beautiful. Her tail-female is Saklawiah Jedran in strain to Mouna through Bint Bint Mona. She foaled her first beautiful filly by Flying Colours in April, 2010! See ES True Princess below and on our "New Arrivals Page". Megira's sire is a full brother to the Champion stallion, Akid Geshan by Nabiel. Her dam is an Al Metrabbi daughter and out of a Sakr mare. She has that famous Sakr leg action, and she does float. A very well bred mare. 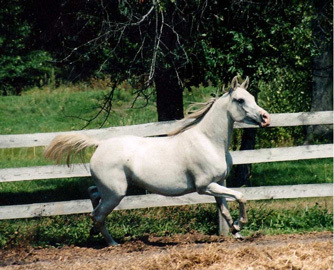 She's the dam of ES Ama Hadi, shown on our stallion page, and the beautiful filly ES Candy Colours, shown below. She has a very short and dishy head with a tremendous body, she's 15.3 hands, and throws type galore. Her tail-female line through Venus makes her Hadban Enzahia in strain. Candy Colours is our beautiful and first filly by Flying Colours MCA. She has grown into such a beautiful filly, I'm so proud of her. 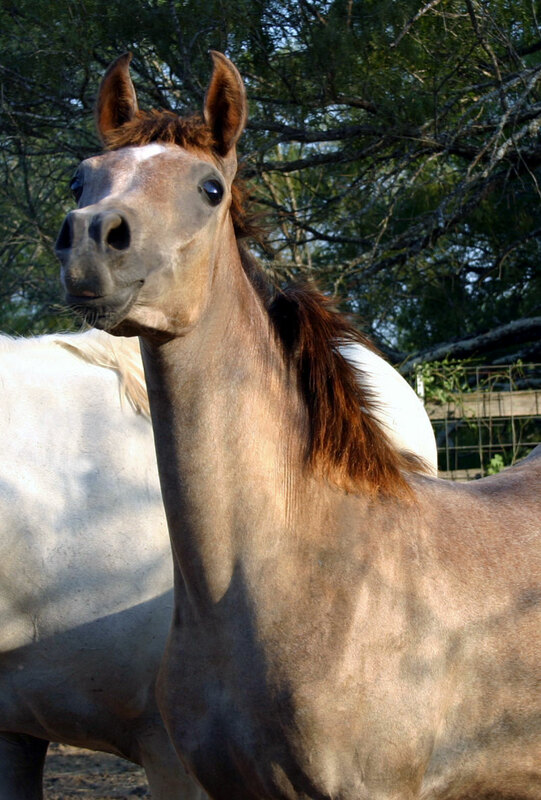 Her dam is Megira, a Nabiel bred mare. I will be starting Candy under saddle this year, and can't wait to ride her. She's very gentle and inquisitive, and should do very well. And after that, I'll be breeding her to Kahar Al Bashyr. This should be a dynamite cross. She is Hadban Enzahia in strain. 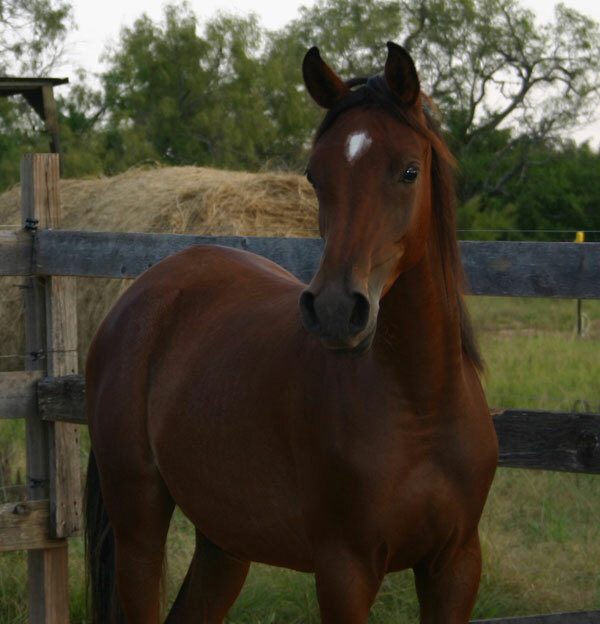 This is our future World Class Champion, and my true look alike "Belle Staar" filly! She is absolutely stunning and has the sweetest disposition. 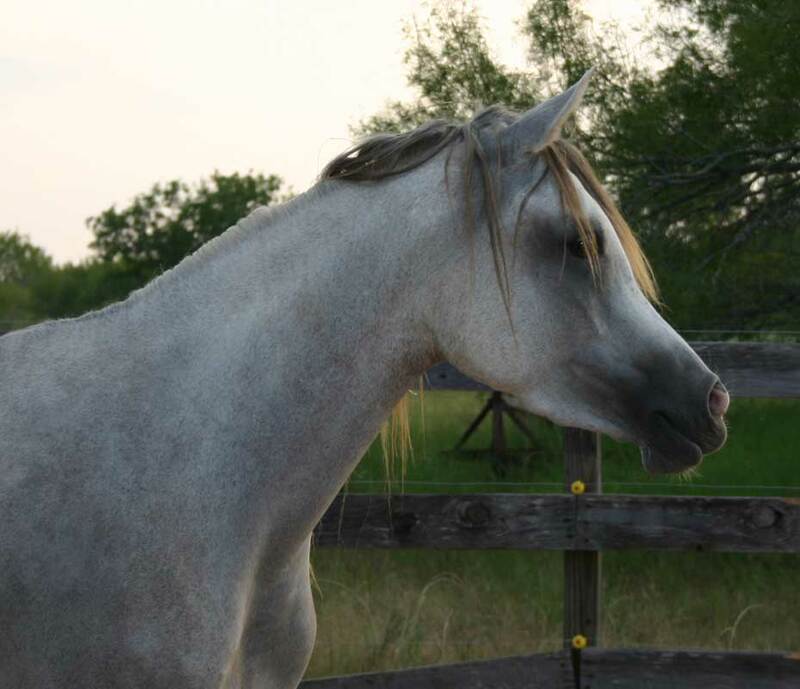 When old enough, she will be bred to Kahar Al Bashyr, which should produce a phenomenal foal! She is triple Imperial bred and carries the best of Ansata through El Thay Ibn Halim Shah to Ansata Halim Shah. 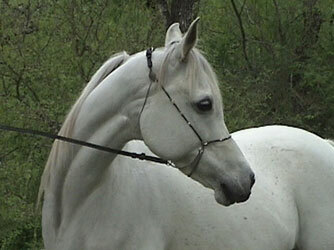 Khatima is a half sister to Megira, and out of a Prince Ibn Shaikh daughter. She has that wonderful Dahman personality and gentle disposition which she passes on to her foals. She is the dam of ES Shakannah, featured on our Stallion page, who is an absolute knock-out. She traces to Bint El Bahrein through Dalal. Khatima is pure in the strain Dahman Shahwaniah. This gorgeous filly, ES True Princess, is out of Kattarrah, our most exotic mare. She resembles her dam in many ways, and we are thrilled to introduce her. She is another future Champion and broodmare. She gives us another valuable line and tail-female to Mouna through Bint Bint Mona. She is Saklawiah Jedran in strain.